Finally its here! 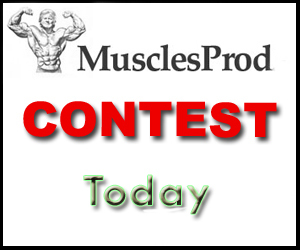 MP BodyBuilding Questions Contest starts today! Be the first one who answers these 15 questions and get 1 vial of Cypiobolic Injection. You can send answers via contact us form which is below or via comments under this post. Dont forget to write your email so I can contact with details on how to get your gift. 1. Who wast first Mr.Olympia Winnner? 2. What is optimal training split for newbie? 3. How much protein per 1kg of bodyweight you need in order to grow? 4. What is the first contest where Arnold Scwarzenegger participated? 5. Most recommended steroid for first steroid cycle? 6. For what body part was famous Sergio Oliva? 7. How long should last cardio in order to not be harmful to the process of adding muscles? 8. What body part of Arnold Scwarzenegger was small when he came to USA? 9. Explain negative reps training principle? 10. What was the year when Dorian Yates won his first Mr.olympia? 11. Which kind of protein is preferable for taking postworkout? 12. What 2 anabolics were considered Arnold’s favorites? 13. When Dennis Tinerino won his first bodybuilding title? 14. Write 3 weider training principles. 15. How old is Dennis Wolf?